NEW to papercrafting? Start here! Even the most capable papercrafter was brand new, once! Wanna hear something silly? I only ordered stamps on my first order... I don't know what I thought I was going to use for, oh, say, INK... or PAPER. LOL!! But aside from Stamps, Ink and Paper, (SIP, we call it in the industry!) what else do you need to get started? I've compiled a list of what I WISH I'd had right off the bat when I first started stamping. A good paper trimmer. Now, these come in ALL different configurations and price points, but the new Stampin' Trimmer is like the Cadillac of personal cutters. It has the kinds of bells and whistles you'd expect on a much more expensive cutter. I've had many a customer toss their old one right into the garbage after trying mine. A good regular adhesive. I highly reccomend SNAIL tape runners, which stands for Simple, Neat And In-Line. It's instantly dry, holds well in most climates and conditions, and it's not going to leave gluey fingerprints and smudges. 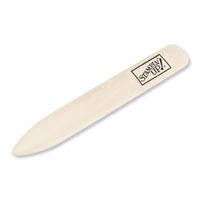 This is the adhesive for when you are sticking cardstock to cardstock or paper to paper. For bigger stuff like attaching ribbon or button embellishments, I use Mini Glue Dots or our brand new FIne-Tip Glue Pen. But SNAIL is a great basic. A good way to add dimension. I'm not going to pull any punches on this one. 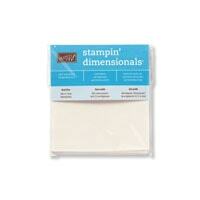 Stampin' Up's Dimensionals are simply the very best on the market, period. There is nothing out there that compares in the slightest. Made of super-soft foam, they add texture and dimension to your projects without causing them to stick up so high they get stuck in the machines at the Post Office. No one wants their pretty card all mangled! Don't even waste your money on other kinds. 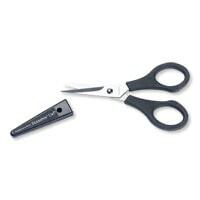 a good pair of scissors like the Paper Snips. We can split hairs and tell you that you need dedicated scissors for ribbon, for paper, for detail cutting, for sticky things, etc, but the truth of the matter is, if you only ever buy ONE pair of scissors for papercrafting, these should be them. This should be they? Those should be these? Whatever!! You need these. Get them. LOL! a good way to measure stuff. 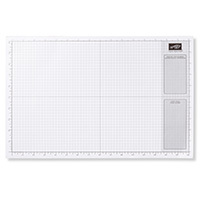 Yes, you can use other things to protect your table surface than our 11x17 Grid Paper, but why not use something that's going to make you a better and more precise papercrafter? Built-in rulers not only along the top, bottom and sides but also a grid for sketching, a note pad and wish list along the side... nothing will make you feel more professional as you measure ribbon and cut cardstock like a champ. a good way to properly crease folds. Many new crafters make the rookie mistake of thinking that good-quality cardstock can just be folded in half will-nilly. It soon becomes obvious that anything more than a single sheet of copy paper can really benefit from being folded with the precise, even pressure of a Bone Folder. 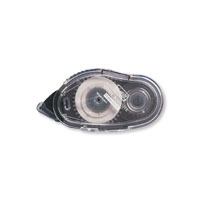 Other companies make them from plastic and they are either two rigid or too flimsy to do the job properly. I don't know why the "bone" part makes a difference, but it really does. Don't mess with a classic! So there you go--six inexpensive, must-have tools I wish I'd known about right off the bat. Are you missing any of these highly-recommended items? Let's get you fixed up so you can have the tools you need to have a successful, enjoyable papercrafting experience. Click any image below to read a full product description and add what you need to your shopping cart with your next order. If you've stuck with me this far, I want to give you a gift to welcome you to the wonderful world of papercrafting! Message me for a free Instant Digital Download of my brand new Beginner's One-Sheet Wonder Card Class... a six page, full-color PDF that will walk you through a super-fun, super-fast technique that will allow you to create six cards at the same time, in about one hour. You'll love it! Lyssa@songofmyheartstampers.com NO STRINGS ATTACHED! This will not sign you up for anything. It's truly just a gift from me to YOU.